Multi-purpose flooring tiles, these Easy Lock tiles from Kampa lock together to provide a practical surface that can be used both inside and out. These strong EVA tiles offer a warm, cushioned, non-slip surface and link together to give any combination of design or area. 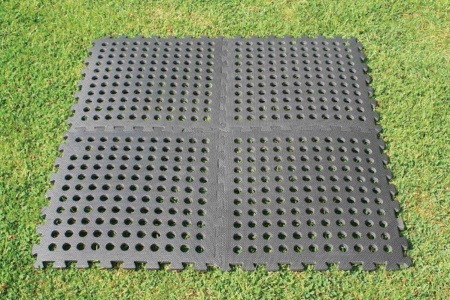 They can be laid on soft or hard surfaces and the material is exceptionally hard-wearing, rot-proof and UV stabilised, with holes to allow grass to continue growing. 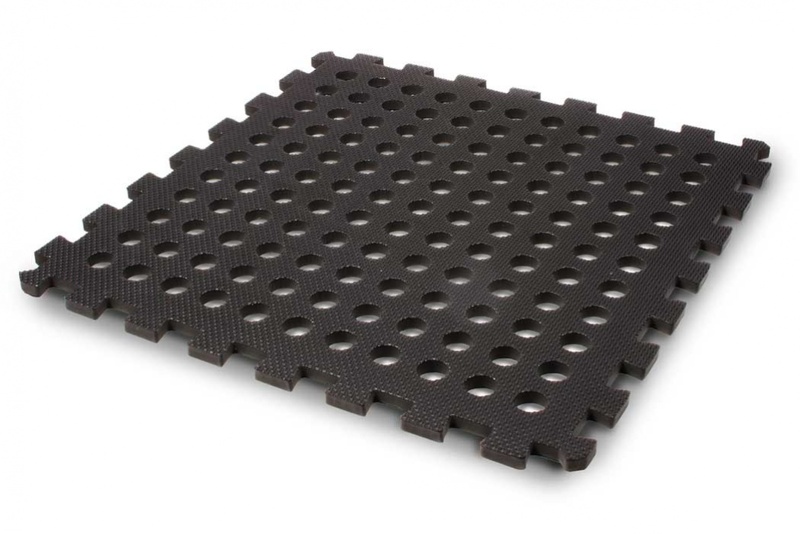 Each tile is approximately 50cm x 50cm (52cm x 52cm with connecting teeth), and Kampa Easy Lock Edge Edges are available which help to provide a gentle ramp to the sides. The Easy Lock Flooring is perfectly suited for Gazebo Flooring, Caravan Awnings, Tent Flooring, Marquees, Pool Surrounds, Emergency Flooring, Children’s Play Area, Garden Sheds, Greenhouses, Sports/gym Flooring, Boot/ski Room etc.